I remember going to the Hall of Science as a kid. And most childhood museum trips, the highlight was hitting the gift shop for some reason. The Hall of Science is no exception. They sold something that had all of our imagination going: Astronaut Food. 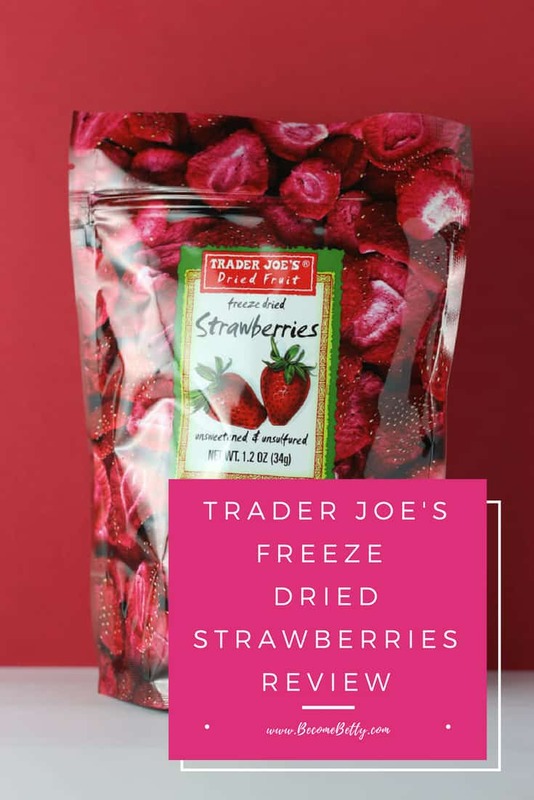 Which reminds me a whole lot of Trader Joe’s Freeze Dried Strawberries. 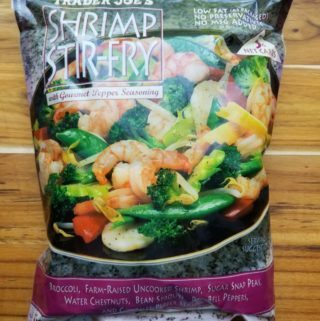 The pros: Trader Joe’s Shrimp Stir Fry is a terrific tasting item if you are dieting or just watching calories or carbs. Rich in vitamin C.
The cons: Not enough water chestnuts, bean sprouts were mushy and lots of broccoli stems. 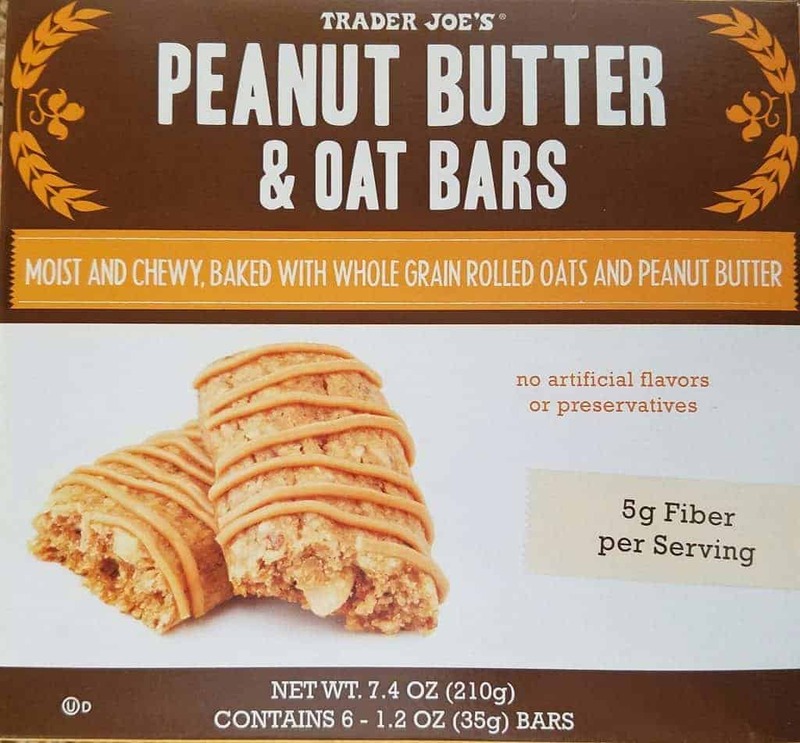 The pros: Trader Joe’s Peanut Butter and Oat Bars are tasty. The frosting adds a nice peanut butter sweetness to it. 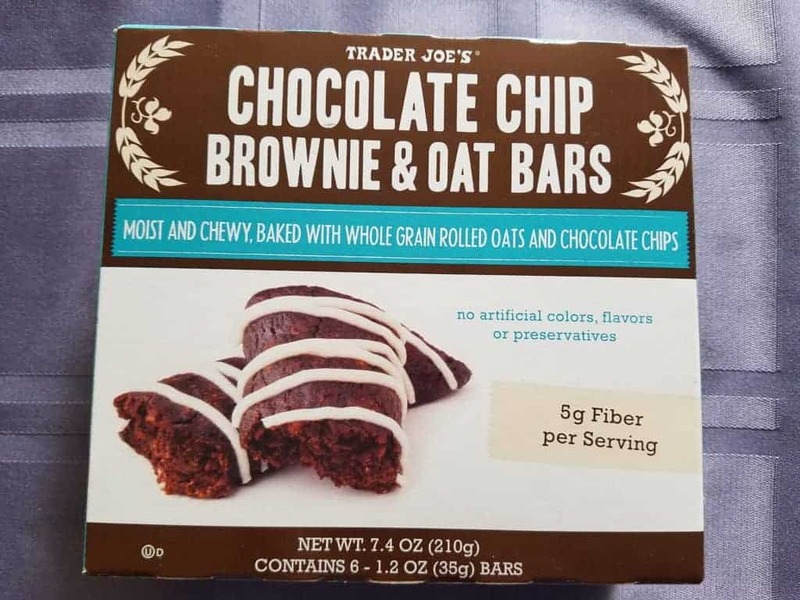 The cons: If you are looking for a bar with a smooth texture, Trader Joe’s Peanut Butter and Oat Bars isn’t it. 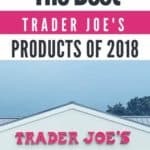 The pros: Trader Joe’s Peppered Turkey Bacon is a thicker cut and more peppered variation of Trader Joe’s Uncured Turkey Bacon. It was meaty, smoky, and only 40 calories per slice. 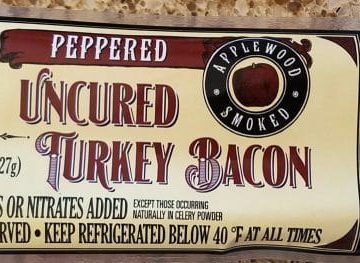 The cons: There are no directions for cooking this in the oven which is unusual as their other varieties of bacon do have these directions. 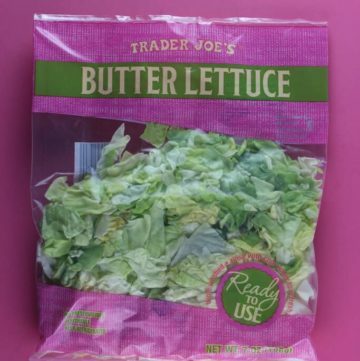 The pros: If you find salad to be boring or just love iceberg lettuce, Trader Joe’s Butter Lettuce is a good product to pick up. The cons: Not as nutrient dense as some other salads in a bag, but if you need to break up your routine, this is a good one to reach for. 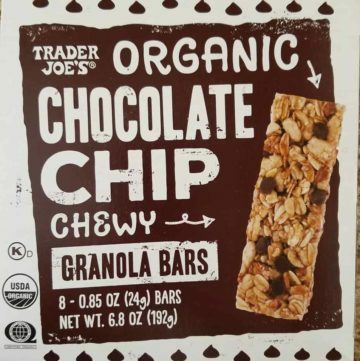 The pros: Trader Joe’s Organic Chocolate Chip Granola Bars is an on the go snack bar that’s organic and full of fiber. The cons: Texture. This bar wasn’t chewy at all. I found it to be quite hard and the bar was very tiny. The cons: If you like the smooth texture of the “A (Fruit name) Walks Into a Bar” series, then this has the opposite texture. I found there was a strange after taste. The pros: Trader Joe’s Yuzu Hot Sauce tastes like lemon and can compliment anything lemon based by adding a touch of heat. The cons: Trader Joe’s Yuzu Hot Sauce is a bit pricier than other hot sauces. 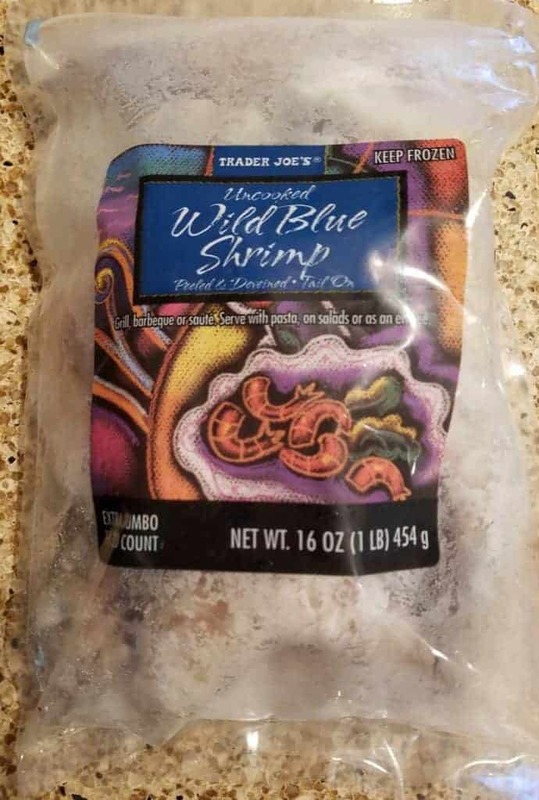 The pros: With a little planning and a bit of actual cooking, Trader Joe’s Uncooked Wild Blue Shrimp are quite good. Shrimp are a blank canvas and take well to a variety of cooking methods. These were a nice size and were not fishy at all. The cons: Expensive, but a better value than some other options in the freezer aisle. 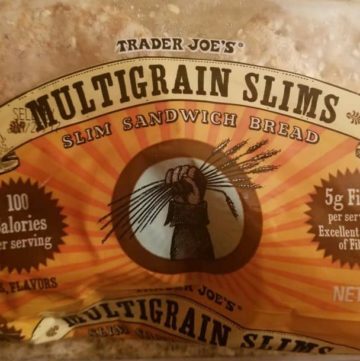 The pros: If you are a fan of Arnold’s Sandwich Thins, Trader Joe’s Multi Grain Slims is pretty darn similar. High fiber and only 100 calories. The cons: High fiber, so if you aren’t used to much fiber in your diet these might be a shock to your system. 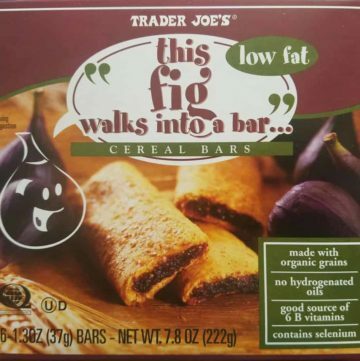 The pros: Trader Joe’s This Fig Walks Into a Bar is organic, flavorful, some nutritional value, tasty, inexpensive compared to other organic snack bars. 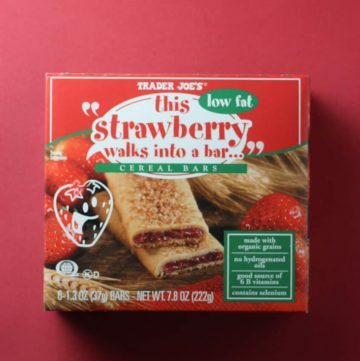 The cons: The entire line of “This Insert Fruit Name Here Walks Into a Bar” cereal bars are addicting, it’s just a matter of which flavor you’ll enjoy. I found this to be the sweetest of the bunch. 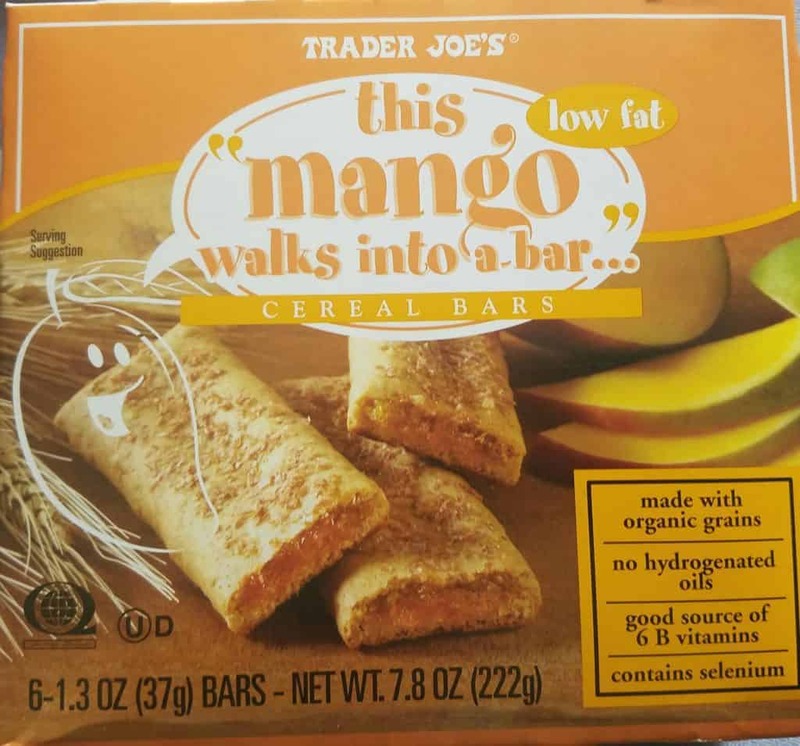 The pros: Trader Joe’s This Mango Walks Into a Bar has good tropical flavor, reminds me of a Nutrigrain bar, nutritionally it’s not a total loss or just empty calories. The cons: Easy to eat a few of Trader Joe’s This Mango Walks Into a Bar in a sitting. 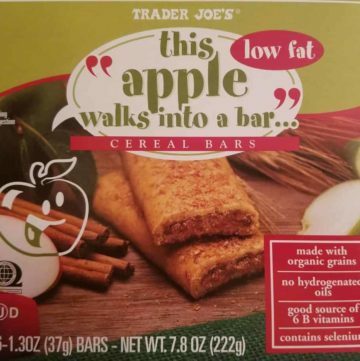 The pros: Trader Joe’s This Apple Walks Into a Bar is tasty, organic, low fat, affordable, portable and not a source of completely empty calories. The cons: Easy to eat a few of these in a sitting. If you buy the strawberry flavor, the packaging of the individual bars looks almost identical to these…. 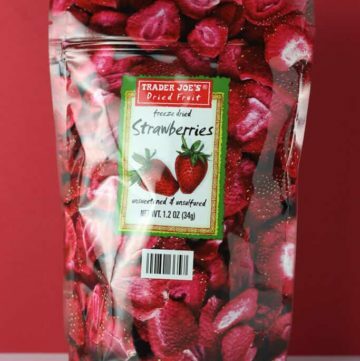 The pros: Trader Joe’s This Strawberry Walks Into A Bar is low fat, organic, portable, tasty and contains whole grains. The cons: Addicting. So easy to eat more than one of these in a sitting. Individually wrapped package looks a lot like the apple flavor. Other flavors the individually wrapped bars are different colors. 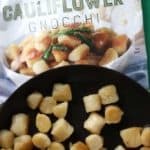 The pros: Trader Joe’s Hearts of Palm Medallions comes in a resealable bag, would be a snack or on top of a salad if you like the flavor of hearts of palm. The cons: Bag splashes a little when being resealed so it was less than ideal…. 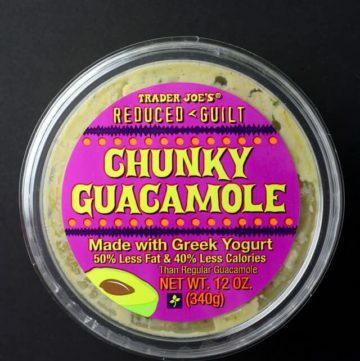 The pros: Trader Joe’s Reduced Guilt Guacamole is a tasty guacamole that might surprise you (as it did me). A nice amount of heat. Nice chunks of fresh veggies. The cons: You might eat half the container without realizing it. 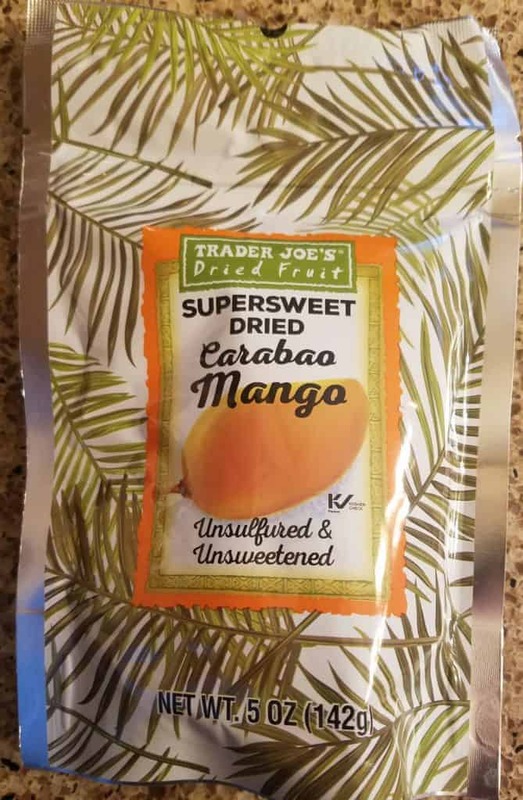 The pros: Trader Joe’s Super Sweet Dried Carabao Mango is a healthy option with a good sweet flavor. Resealable bag. The cons: When I opened my bag all the mango strips were sticking together making it hard to grab a piece. 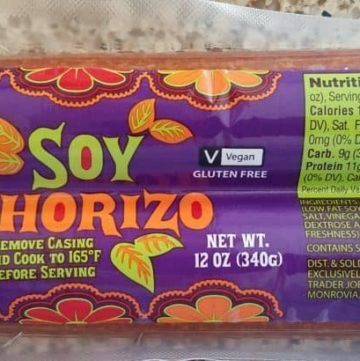 The pros: Recent addition to the freezer aisle. 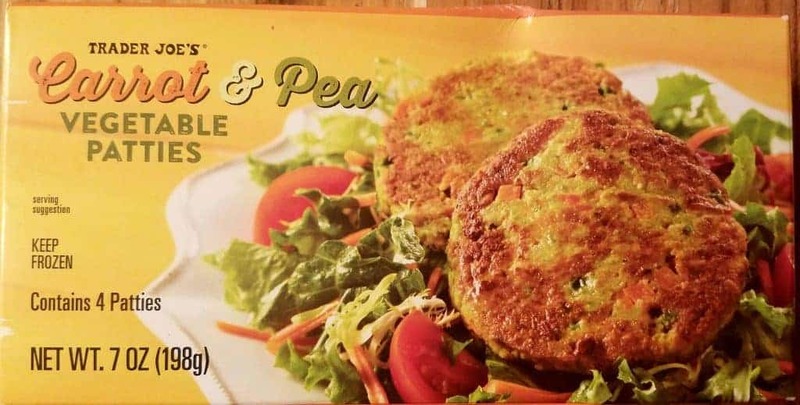 Trader Joe’s Carrot and Pea Vegetable Patties looks like the picture on the package. Good source of vitamins, good ingredients. Healthy. 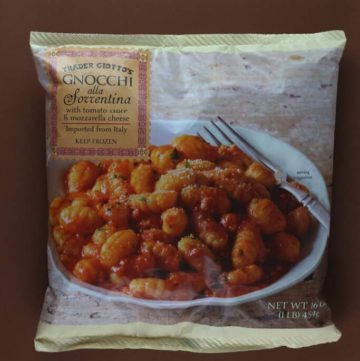 If you need a break from frozen veggies this might give you a break. The cons: Trader Joe’s Carrot and Pea Vegetable Patties has good potential but taste was bland but is improved with salt when it’s done cooking or by hot sauce. 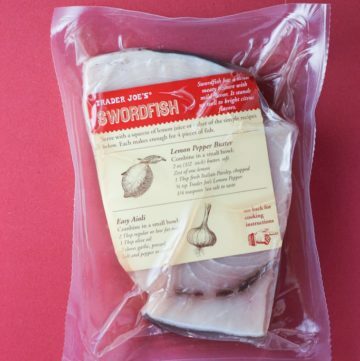 The pros: Convenience, vacuum sealed pouch, good directions, after being prepared according the suggestions, Trader Joe’s Frozen Swordfish was tasty. 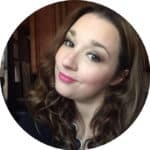 The cons: This review is going to be dependent on your ability as well. 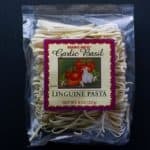 This a product that is going to depend on your cooking ability as well as the product is uncooked. Some might avoid Swordfish as to the possible mercury content. This product is from Singapore. 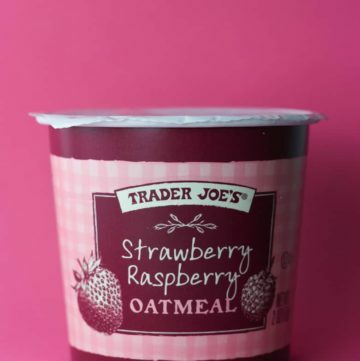 The pros: With milk, Trader Joe’s Strawberry Raspberry Oatmeal is a tasty and hearty breakfast. 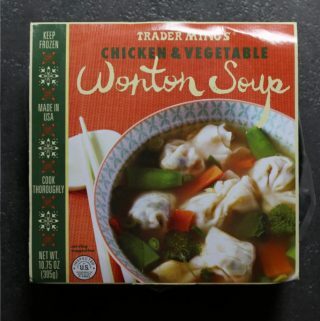 Best at room temperature. Good flavor and balance. Subtle spice of cinnamon. Good amount of fiber to make you feel full. The cons: Could have been more generous with the strawberries and raspberries. I wish it had a lid, so if I need to come back to it. 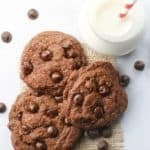 Something you can make from home with a few pantry items. 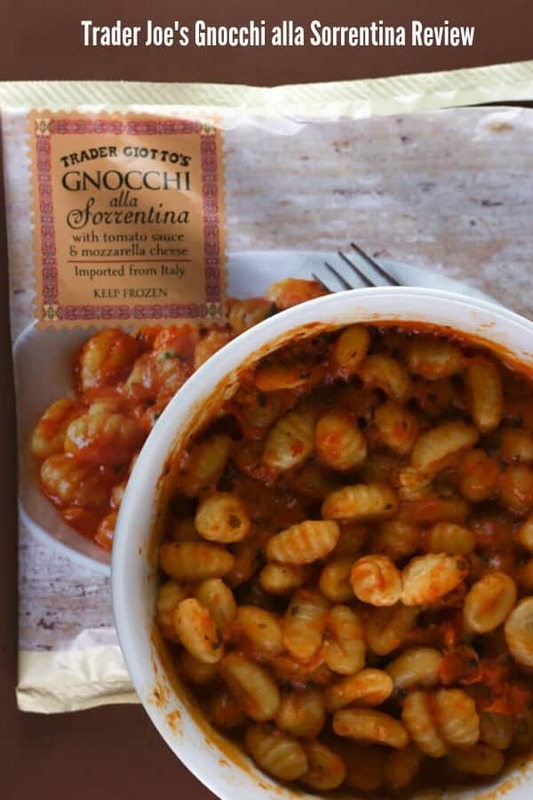 If you have allergies, this has a long list of items it has traces of. 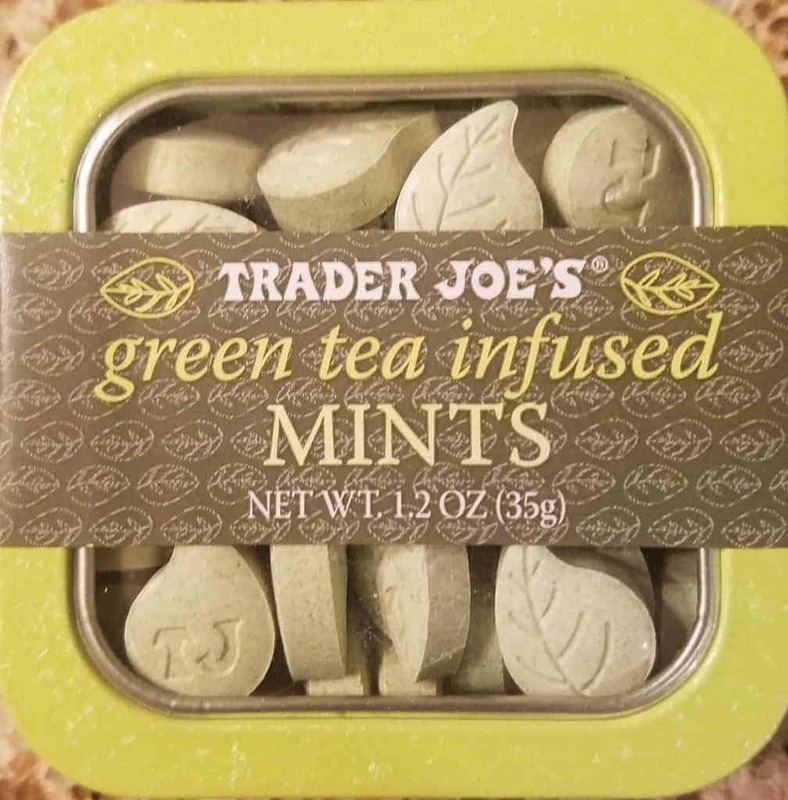 The pros: If you want a more muted mint taste, you might enjoy Trader Joe’s Green Tea Infused Mints. 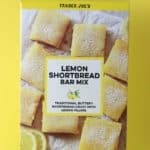 If you like the taste of matcha without it being overpowering you might enjoy these. Uses more natural colors. The cons: The matcha flavor isn’t for everyone.